Who Are The Top 10 Fittest Movie Actors? Many big stars however take a great pride in their fitness levels, and their ability to do tough physical things on-screen. 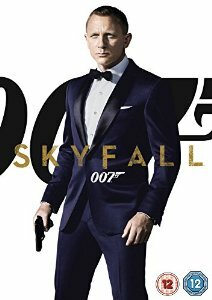 No director will risk letting a star do a dangerous stunt, but actors like Daniel Craig (our current James Bond) are extremely fit and not only capable of taking their shirt off but doing some tricky action and fight sequences too. Daniel obviously works out hard on a regular basis, and carefully manages his diet. You just don’t get into that kind of shape without making sacrifices. He’s said in interviews that his diet is a fairly simple ‘clean’ diet – no processed, sugary foods obviously, but otherwise simple whole foods, lean meat, protein powders. Plenty of them too because you need to put a lot of (good) calories in to get quality muscle out. He had a personal trainer to help him out of course – if you’re really serious about getting into that kind of shape for on-screen work you need expert help in some form or other. Simon Waterson was the man that helped Daniel achieve his look. He punished him with 5 workouts a week. Usually fairly short workouts of only 45 minutes, but non-stop full on sessions of 45 though. The effort was however worth it of course as Daniel not only looked in great shape for Skyfall, he says he was also in the best physical fitness he had ever been in too. Which is important, fitness is important for performance of all sorts of types. Making movies requires a lot of standing around waiting for your few seconds of screen time (unless you’re the star in which case you probably have a nice winnebago to relax in). When the director needs you, that’s when you need to be ready and on top form – that takes a lot of mental strength as well as a general physical fitness. So whilst you don’t need to be in Daniel Craig shape to put in your performance, it will pay you back many times over in more and better roles if you have the energy to shine when the moment calls for it.